Christina Bambrick, a recent JMC fellow from the 2018 Summer Institute, was published in Publius: The Journal of Federalism this month. She discusses Tocqueville’s teaching on the nature of the authority each level of government exercises. Tocqueville’s insights on local politics in Democracy in America have led some scholars to ask where he fits into longstanding debates about the balance of power between the national government and state governments in American constitutionalism. Although Tocqueville’s observations speak to these questions, he also transcends them by developing the concepts of governmental and administrative (de)centralization. In differentiating governmental and administrative capacities, Tocqueville offers language by which to understand and evaluate the federal system in terms of the nature of the authority each level of government exercises, rather than simply by the objects of national, state, and municipal powers. The purpose of this article is to clarify Tocqueville’s understanding of governmental and administrative (de)centralization and thereby contribute to a better understanding of political authority in the American federal system. Christina is a doctoral candidate in the Government Department at the University of Texas at Austin. She studies constitutional theory and development, American and comparative constitutionalism, and the history of political thought. She is currently writing a dissertation on the horizontal application of rights to non-state actors in comparative context. 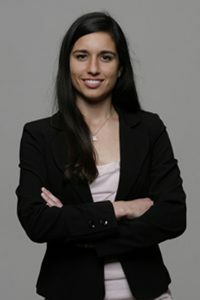 She has a Master’s degree in Government from the University of Texas, and a Bachelor’s in philosophy and legal studies from Scripps College in Claremont, CA.